Sand Tarts Recipe: This is a wonderful recipe from my mother-in-law. We make it every Christmas time and it is a family favorite! Sand Tarts is another holiday cookie recipe from my mother-in-law which we make every Christmas. Sand Tarts are delicious when enjoyed with a cup of coffee. Dip the Sand Tart into the hot coffee and let it soak up some until it is a bit soggy like you would with Biscotti. Not only does it taste good it saves your teeth! Although Sand Tarts do not fall into the traditional foods category, they are a taste from John’s childhood and memories are important so we choose to enjoy them! If you’ve tried this Sand Tarts Recipe or any other recipe on Cultured Palate please take a minute to rate the recipe and leave a comment letting me know how you liked it. I love hearing from you! You can also FOLLOW ME on PINTEREST, FACEBOOK, INSTAGRAM, YouTube and TWITTER. These cookies have a great texture and flavor and I love to share the recipe with people. Combine all the dough ingredients and refrigerate to chill overnight in a covered bowl. Roll the dough very thin (about 1/8 inch) and cut into diamond shapes. You may cut with cookie cutters if desired but I roll the Sand Tart dough out and cut it with a knife in long lines and then come back across with a diagonal cut. Transfer the cookies to a prepared cookie sheet - I use parchment paper. 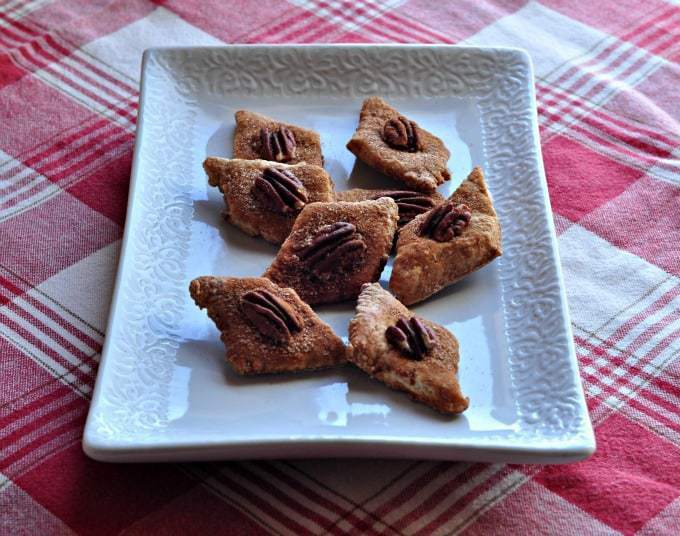 Place half an almond or pecan on each cookie and brush again with eggs whites. Sprinkle with a little more cinnamon sugar. Bake at 350F for 10 - 12 minutes. As the cookies cool they harder further. I’ve never heard of sand tarts before but I’m obsessed with Christmas treats. On my list to try this year!